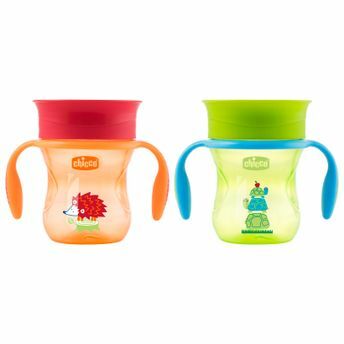 360 Perfect Cup by Chicco has a rim trainer with a clear silicone membrane that allows liquid to flow wherever lip pressure is applied and lets baby see liquid approaching, important for open cup. It also has 'no spill' with lip activated flow for spill-free drinking. Remove the spill-proof membrane to practice free-flow drinking training.